Sometimes the simplest of structures and hard landscaping elements can become used as the basis of play and social interaction. Parcour, football, BMX, running, stretching or simply sitting can be made more engaging and possible with minimal structures. 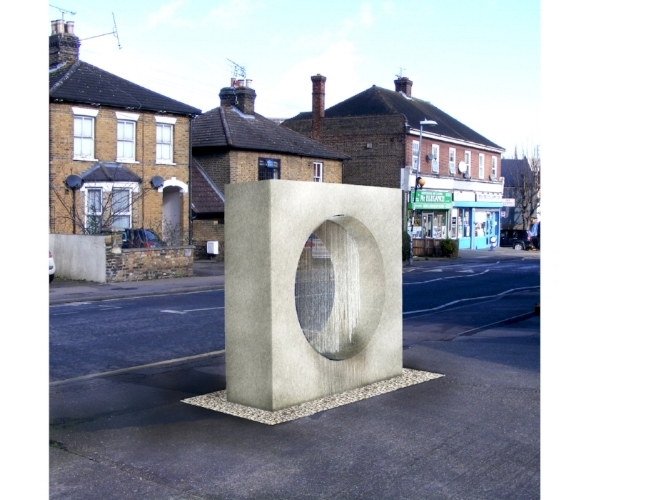 The proposal for The Play Portal is to install a simple stone or concrete portal on housing estates or areas which are abandoned to offer imagined uses and engage interactions. 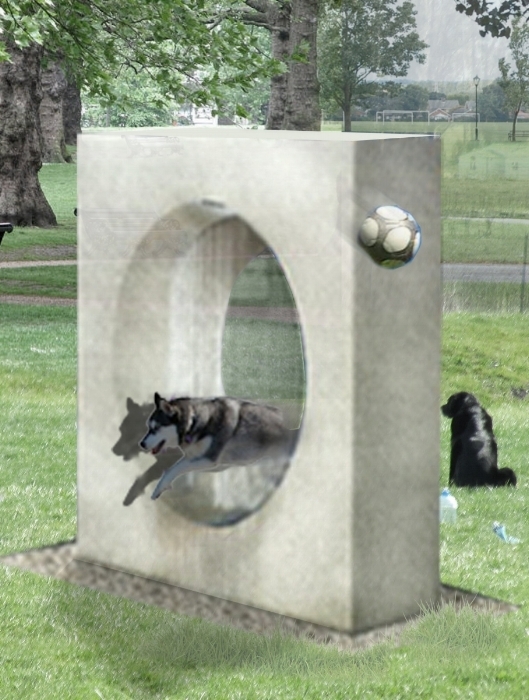 This square block with a round hole is a basic, almost mute sculptural unit, which in its simplicity and lack of coded utility will be more easily assimilated and possessed by the inhabitants of all ages, than the usual play structures- due to its “dumbness” and lack of expressed purpose. A water screen is fed from the mains to create a flowing film for various engagements. The water will be fed through pipework from the mains up along the side of the block and sprayed through nozzles lining the upper section of the circle. There is a stainless steel button to activate the fountain that when released stops the water after two minutes. There is a concavity at the base to facilitate a bowl for animals to drink from, this will also act as a scooped area into which one can recline. The whole block is set on a concrete foundation and is stable enough to be climbed on by several adults.